This entry was posted on Thursday, June 10th, 2010 at 4:44 pm and is filed under Curious cattle, Curious diet, Curious nature. You can follow any responses to this entry through the RSS 2.0 feed. You can leave a response, or trackback from your own site. It’s interesting how different your cows look to the ones we have here. 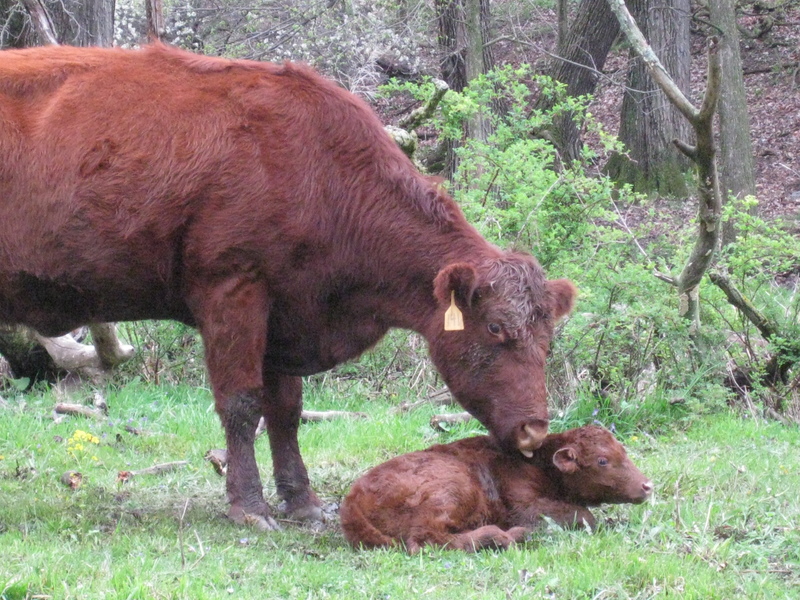 I’ve never seen a cow that reddish shade of brown. Different breeds I guess. Maybe I’ll take my camera next time I go to the park and get some pics. The cattle there (mainly for the tourists I suppose) are certainly very handsome animals. Yes, would love to see pics. You have a good eye for shades of cattle. Our cattle are different because our base herd was Shorthorn and Lincoln Red. Lincoln Red are especially dark red. 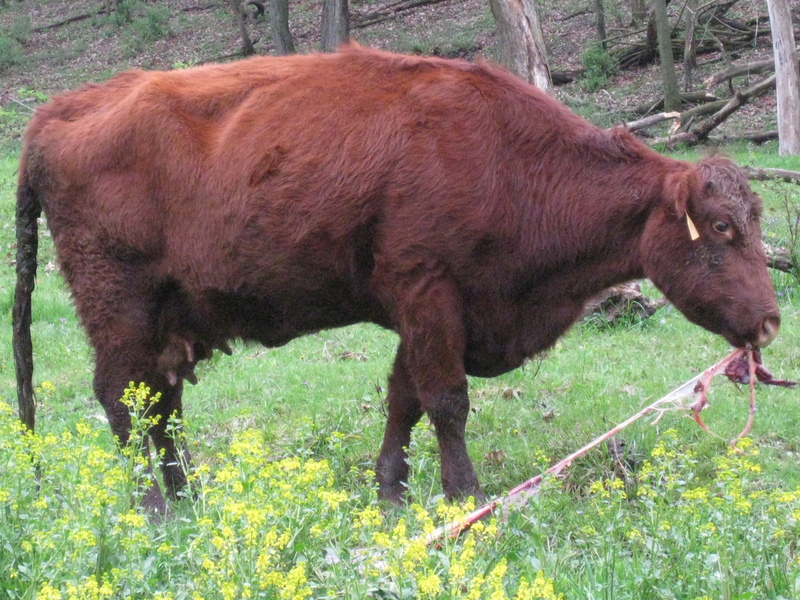 We’ve been using Red Angus for ten years, but our cattle are still a darker shade of red than most Red Angus. I found a link to your blog on Walter Jeffries’ site, and I have been reading here for almost 3 days! Wonderful blog you have here, very interesting for this novice hog farmer. And finally I’ve come across a post of yours I can actually contribute to instead of sneaking off with all this useful information you’ve compiled here. Placentophagy – yes I have heard of it. In fact, I’ve eaten part of my placenta immediately after my last three (planned) unassisted homebirths, meaning there was no medical professional in attendance. I had read that placentophagy can help prevent hemmorhaging and post partum depression. I knew it wouldn’t hurt anything, so I went for it. It was not a pleasant experience, but I would do it again. This is a really nice comment! I’m so glad you’re getting something out of my writing. Most of the time I plod along not knowing if anyone is enjoying. Fascinating about your placenta. I’ve heard of that. You’re also very brave to birth at home. I would like to use that photo of the cow in a presentation, is it your photo? Thank you! Hi Carrie, Yes it’s my photo and yes you may use it. I appreciate citing the source and/or a link back to my blog. Thank you. I will do! Thank you. I am giving a presentation Thursday on placentophagy and postpartum depression for my senior undergraduate capstone project.